When I started blogging way back in 2011 I didn't have a clue what I was doing. My layout was as basic as you could get and my posts were mere sentences long but my blog wasn't for anyone else per say, it was my way of getting the thoughts out of my head, a hobby to keep my mind ticking over. So really I had no need to care about what anyone else thought of my blog, I didn't think about who could be reading it. But that's how blogging was for most I think, it was fun, not about money making as it seems to be these days. It wasn't until I stepped away from my blog over Christmas and gave myself a much needed break that I began to realise just how much effort goes into my tiny space on the web. All the tasks I have to perform to keep up with everyone else, to keep it ticking over. It isn't as simple as writing a post and pressing publish anymore, these days the focus is on reviews and sponsored posts and the pounds that can be accumulated from this instead of the more personal and heartfelt posts that I love to read so much. I like to think of it as blogging by numbers nowadays. There are so many things that factor in, from social media followings and page views, DA and PA ( I mean who actually comes up with these figures anyway?) to rankings in certain charts. People seem to be reliant on what others deem to be acceptable rather than being happy with what they have achieved themselves. 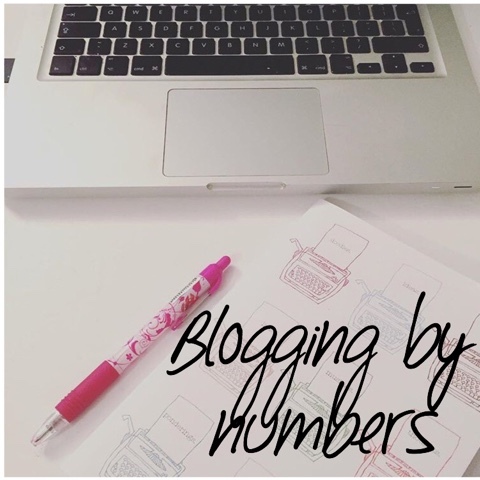 And when I say blogging by numbers this also goes against the time we spend writing the post, taking pictures. The money we spend personally out of own pockets to create the perfect backgrounds, driving to different locations to get that last bit of sunlight. My blog last year began to get clogged up with so many reviews and sponsored posts that I wouldn't blame people from closing the tab and finding something else to read. Trouble is I felt the need to publish post after post as it seemed like the thing I should be doing to keep myself noticed, to the point where I was publishing up to 3 posts a day. I found myself trying to "perfect" photos on Instagram to up my followers, tweeting more and more links to get my posts "out there" instead of conversing with others. Blogging is essentially my job now but I was losing that element of myself and my family from my blog and all things connected to it in a bid to stand out from the thousands of other blogs around. Having stepped back from it all, I've come to realise that the numbers actually mean very little. Yes it is nice to see your follower count rise, it is an ego boost to see your blog topping charts but what it all comes back to really is the writing. You can have all the followers in the world but if what you write isn't of good quality then essentially you are no better than anyone else. I've read plenty of thoughtful and well articulated posts from people who aren't "popular" or "professional bloggers", the numbers don't make us great, we are only as good as we make ourselves. Since I've started writing again I've slowed down significantly. Turning down many reviews and being more selective with posts because my blog is my own and I want it to stay that way. As for social media platforms like Twitter and Instagram I'm doing it my way, it is in the name "social", these platforms are meant for engaging with others not a place to create some false realities or advertisements. In the end the numbers are simply that, just numbers and they certainly don't write my posts for me so I shall carry on in my tiny space on the web where you'll find me blogging for myself if you ever feel the desire to read what you find there. Thanks so much for your comment! I love documenting our memories too, such a great thing for our kids to look back on! I think you're right: blogging can be exhausting, and it's good to get some perspective! It's horses for courses! As a blogger of the "third age" ie. I'm well into retirement! I started a year ago for a couple of reasons. Firstly I thought it would be a jolly good way to stay in touch with friends and family spread all over the world and secondly, it would keep the brain working, as I TRY to write well and entertain! I published a blog a week for the whole year but now have decided to write less often as some weeks I was in danger of publishing second rate stuff as the pressure was on! I have few followers but just love doing it - even for myself! Oohhhhh I love this. I became so obsessed last year after I quit my day job and became a pro blogger - is my DA high enough? Are my numbers ok? Should I do this? How about that? I must take alllll the paid jobs!! I must I must!! I want to go back to enjoying my blog which is 5 this year . I love this post. It's something I struggle with often. I think the charts can be detrimental as it's so easy to get caught up in stats and things in order to climb the chart and then maintain a position. People attribute value to a blog based on their chart position but you're right, there are so many fantastic blogs that aren't "popular" or high in the charts or whatever else. It's easy for these fantastic writers to be overlooked because of a number in a chart. Blogs were an entirely different kettle of fish before social media came along. I feel like it's brilliant that we can use it to get readers to our blogs but sometimes it does start to feel like a big chore, to keep up with it all. Like a hamster on a wheel! I loved this post... written with such honesty and warmth. I don't know how on earth you managed to publish up to three posts a day and manage to do anything else at all with your life. I'm far more selective with reviews and sponsored posts and will only accept something if it's a good match for my blog. It's the readers that matter at the end of the day isn't it? Hi Chantelle, three posts a day? I battle to write three posts a week. It must be hard to find a balance when you have the opportunity to make some money. Stepping back sounds like it was a good move for you, it's given you the chance to reevaluate what you want from your blog and why you write it. I have had to take break as I was SO tired in the first few weeks of the pregnancy. It has been nice to take an enforced break and to actually say no to stuff, knowing that I can't commit to anything. Sometimes you need to take that step back to see the wood from the trees, don't you? I'm not knocking those who are driven my the numbers because they're trying to make an income from blogging but equally it's easy for us to get swept up by it all just because everyone else is doing it. As you say, good numbers are a nice ego boost, there's no denying that. But sometimes it is too easy to focus on getting lots of reviews and building follower numbers that it's easy to forget why we started in the first place. For me it's always been about the writing. I get maybe 200 approaches each year but I will do at most 4-5 reviews/paid posts and I absolutely will not accept pre-written content. This year I'm planning on doing none (well, maybe one or two that tickle my fancy) and I'm not doing any competitions or giveaways even though I know that will impact my traffic numbers. I know some people will think I'm mad or lying, but I've never cared much for the commercial side of blogging - it's just not my thing. But then that's also why I've never felt jaded about blogging, even after nearly 9 years - it's never been a job, just something I do because I love to write.